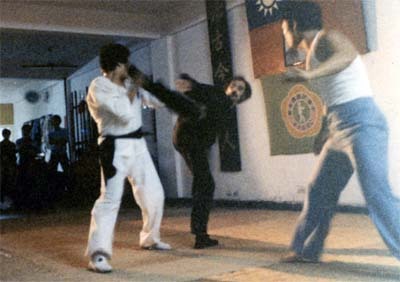 This is another picture of Grandmaster's fight with Wu San Jyu in Taipei, around 1980. To the right is Master Li, one of the judges. Also present but not pictured was Master Ch'ang Tung Sheng, who was chief judge.